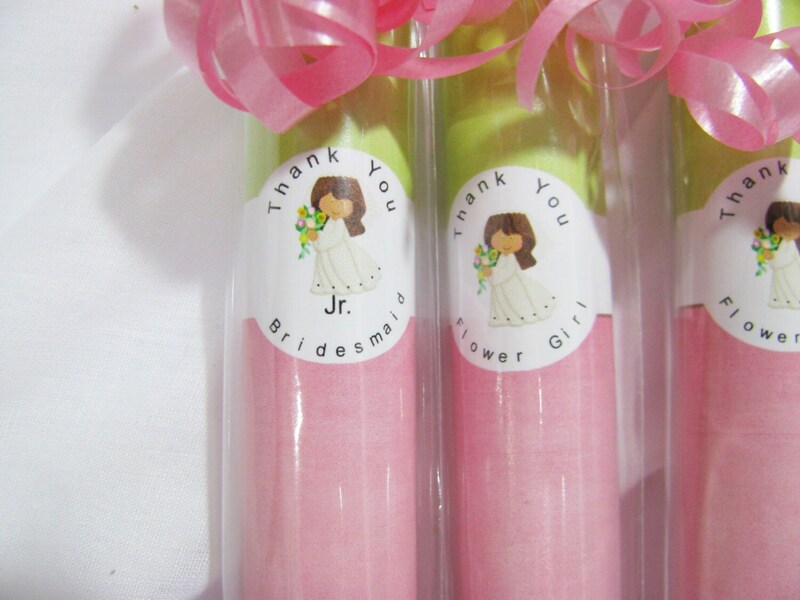 I have been making "candy cigars" for the ring bearers and had a request for the same for the flower girls. 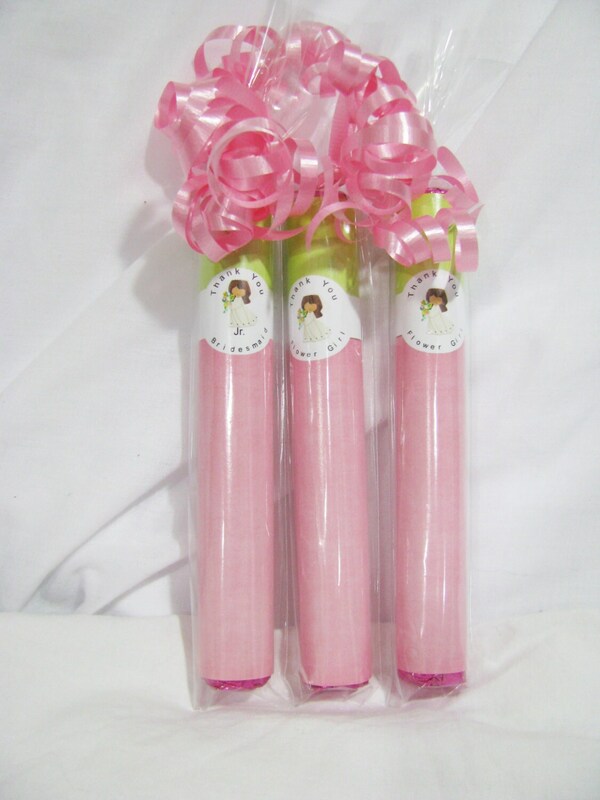 I wouldn't really call these candy cigars. 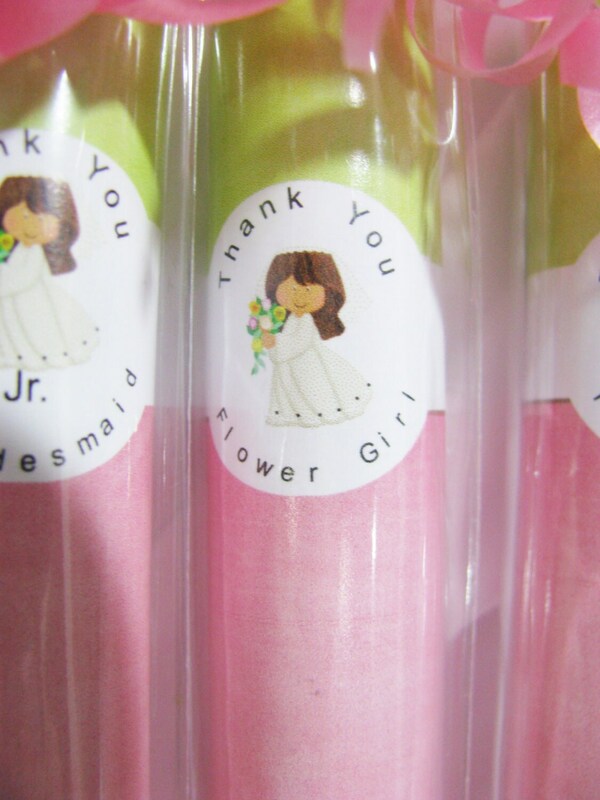 But these fun fruity favored mentos are great for any flower girl!! It comes with pink foil. (I also have strawberry or apple flavors with green foil). Please feel free to convo me with any questions at all!! 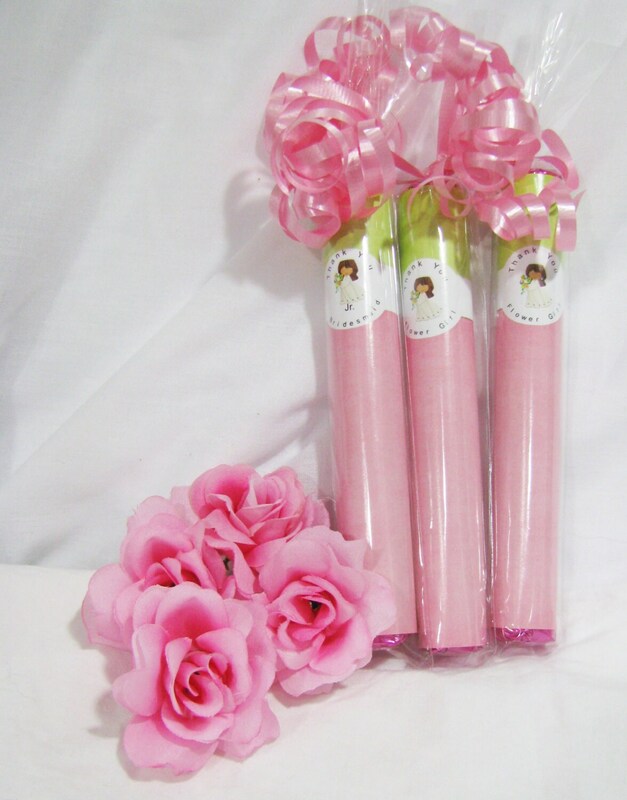 You can also place an order for both ring bearer cigars and the flower girl mentos right here. Just let me know how many of each!